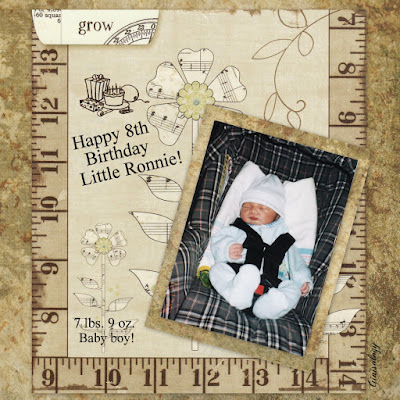 Eight years ago today, our grandson Ronnie was born! Happy Birthday little Ronnie...we love you! Thank you Carol...they get so big so fast! What a cutie-pie he was! I know you're a very proud grandma!